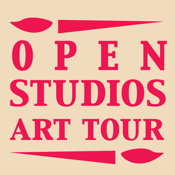 The 2012 Open Studios Art Tour will be on October 13 & 14 and October 20 & 21. Visitors will be able to visit artists countywide during both weekends! ARTS Obispo's Open Studios Art Tour (OSAT) is one of the largest Open Studios in the country, with over 200 artists participating annually by opening their studios for visitors to tour during three weekend in October.